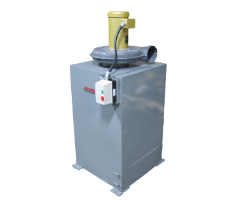 Kalamazoo Industries Inc. dust collectors are great for collecting abrasive dust from abrasive chop saws, belt sanders, and belt grinders. 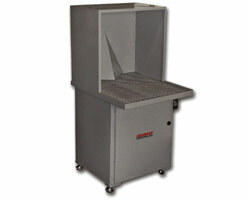 These units are available as machine bases for integrating dust control with the machine and or independent. 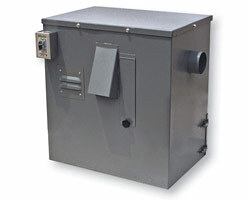 Kalamazoo Industries Inc. Industrial Dust Collectorsunits are available in both 1 phase and 3 phase. 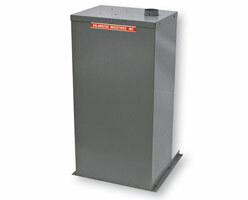 The DCV-4 dust collector is available in 1PH 110V only. Bag house type down draft tables also good for work stations to keep dust down in the designated work cell area. 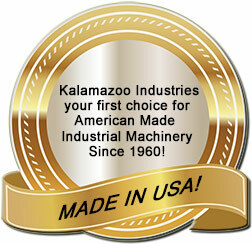 Kalamazoo Industries Inc. Industrial Dust Collectors have applications in the following industries: Energy, Oil/Natural Gas, Petro/Chemical, Knife Manufacturing, Automotive, Metal Foundries, as well as many other Manufacturing and Fabrication environments.